Always check your car or truck before getting in. 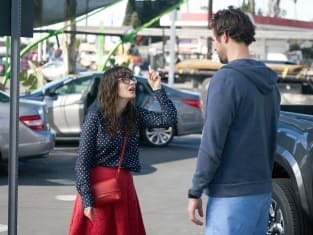 On New Girl Season 5 Episode 14, Jess went to great lengths to make amends with Sam while also trying to fight the restraining order he had on her. Winston gets a lot of credit for at least trying to be the voice of reason. I was actually shocked to learn Jess had never been served with a restraining order. She has such a strong personality and can easily be too much for some people. Of course, the whole restraining order ordeal was equal parts ridiculous and hilarious. It made absolutely no sense why Sam would want to get a restraining order on Jess. This is a man who used to date her and knows exactly how she can be. While all the voice mails, phone calls and text messages were excessive, she is not someone who can be considered dangerous. Insane maybe, but not dangerous. On the other hand, Jess really should learn to take her friends' advice. It would have been easy for her to just accept the restraining order, which was far too easy for Sam to get, and move on with her life. At least the whole car wash scene made up for Jess' absurd antics. I figured the restraining order would lead to Sam and Jess getting back together. I'm honestly not opposed to the two of them getting back together. The only problem I have is getting behind a couple who you know isn't going to last – these two are certainly not going to make it. Speaking of crazy antics, I couldn't get enough of Schmidt and Nick trying to take revenge on Connie. It baffled me how they could view an upscale bar being competition given the clientele of their bar, but the storyline seemed to work. While I always look forward to Nick and Winston, I really found myself missing Nick and Schmidt as a team. I can't help but be completely on board with whatever dumb idea they come up with. I have been enjoying how passionate Nick has been when it comes to the management of the bar. I was getting irritated with how they were constantly making him mindless and making not want more out of life. In the end, Nick and Schmidt made peace with Connie. Of course the best thing to come out of the meeting was Nick announcing their bar was getting valet parking. Schmidt's reaction was absolutely priceless and exactly what I would expect from him. I really do hope their bar continues to grow. Now it's your turn! What do you think of Sam and Jess being back together? Do you like this more improved Nick? Were you disappointed with the lack of Winston? You still have time to catch up before the season finale. 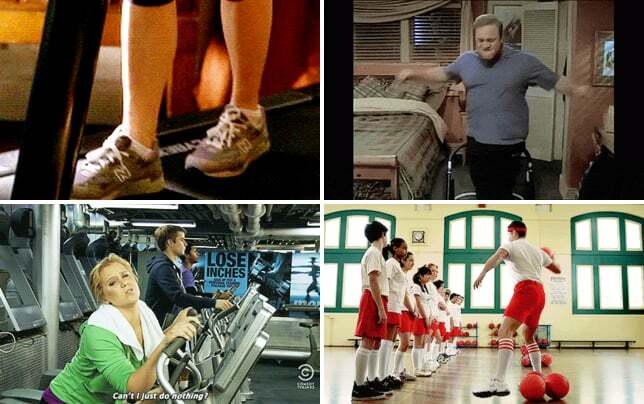 Go watch New Girl online now via TV Fanatic and just make sure to come back to let us know what you think.